QHY16200, problem with returning grease spot on sensor glass. I have this camera since march 2017. The QHY16200 has been a pleasure to work with, but there is 1 strange problem with it. After about 6 months of use a grease like trace was beginning to appear on the bottom-right of my images and flats. 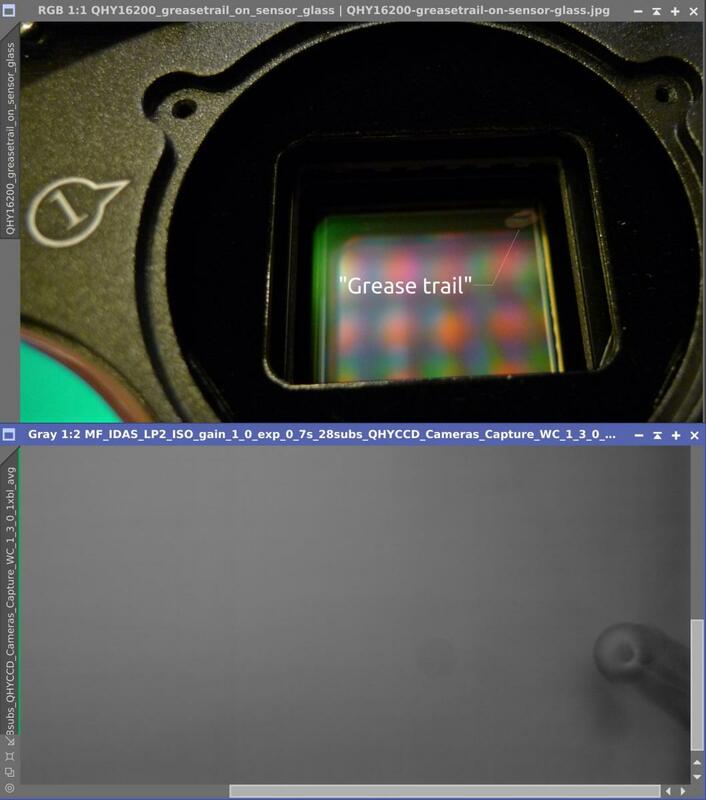 At first i could not remove it from the sensor glass with the Eclipse sensor cleaning fluid, but after I got the Smear Away I was able to remove the grease trail. But after a few weeks.... the smear creeps back into view, etc. I have the camera switched on 24/7 and the sensor is cooled to -20C, but only during image sessions. Are there other users that have the same issue? I have not experienced this issue. This is an odd one as it appears in only one corner. Have you contacted QHY about this? Sure looks like an epoxy or some such material is slowly melting and seeping from that direction and ought to be addressed by the manufacturer. Just a guess. Thank you for posting a picture of the Smear Away and other products. I had not heard of this and will look into it for my needs. No, i have not contacted QHY about this yet, but i know they monitor this forum. And i was curious if others had the same issue. This is not a good period to return the camera for a repair, maybe galaxy season next year. What happens if you don’t leave your camera turned on all the time? Does it take longer for the oil to migrate onto the sensor? Or not at all? I’m sure that there is still considerable heat being generated inside the camera body. That is indeed what I am testing, now. Is your device always powered on and off? How is his heat dissipation? If the outer casing is hot, there may be a melting of the sealed silicone oil, which is a very rare situation. 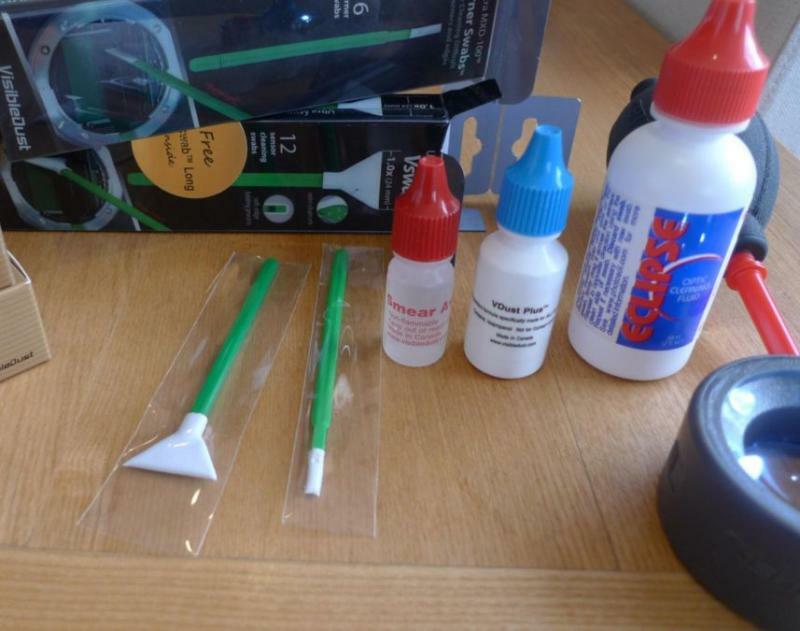 Silicone oils are generally used in small quantities and will not be discharged. 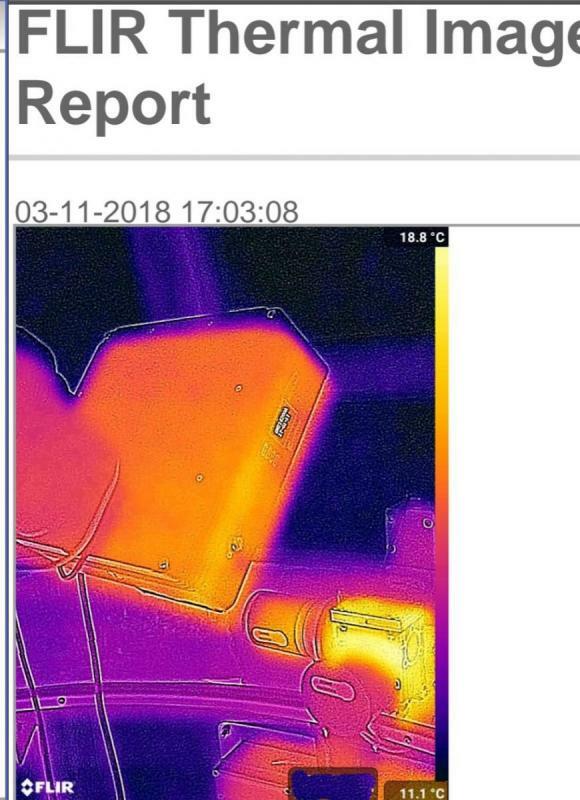 The device has been on 24/7 during the last 18 months, The outer casing is 19 degrees Celcius in this FLIR image, the ambient temperature was 10 degrees C. Silicone oil is very temperature stable and will never "melt" in this situation i would think. Edited by keesscherer, 12 November 2018 - 02:11 AM. Thank you for your feedback, our technical staff will contact you as soon as possible to help you solve the problem. Thank you for the information you provided, can you tell me your email address, or you can contact our technical engineer cha@qhyccd.com by email, I think he will help you solve this problem.